I love the name of Kim Chaffin’s blog – Heartfelt Ramblings of a Midlife Domestic Goddess. When you go to her blog, you immediately notice the bright pink background and sweet cartoon artwork. You can tell right away that she’s a woman with a sense of fun. I got to meet her in person at NRB Convention, and that was indeed true. Kim is sweet and bubbly, and immediately treats you like she’s known you forever. Her love of life is contagious. Kim was at NRB promoting her just released book Simply Blessed: Finding Joy in the Little Things. It’s a devotional book that focuses on the issues women deal with on a daily basis and ties them in to scriptural principles. 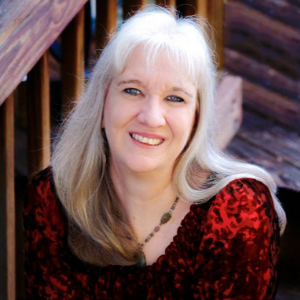 In our interview she shares more about her writing and ministry.